A team of 35 volunteers have just returned from Ivancea, a small village in the east of Moldova. The team travelled by coach for 3.5 days to reach the school, along with two lorries and the TEECH van. On arrive it was full steam ahead to unload the aid from the articulated lorry before work creating four bathrooms started the following day. 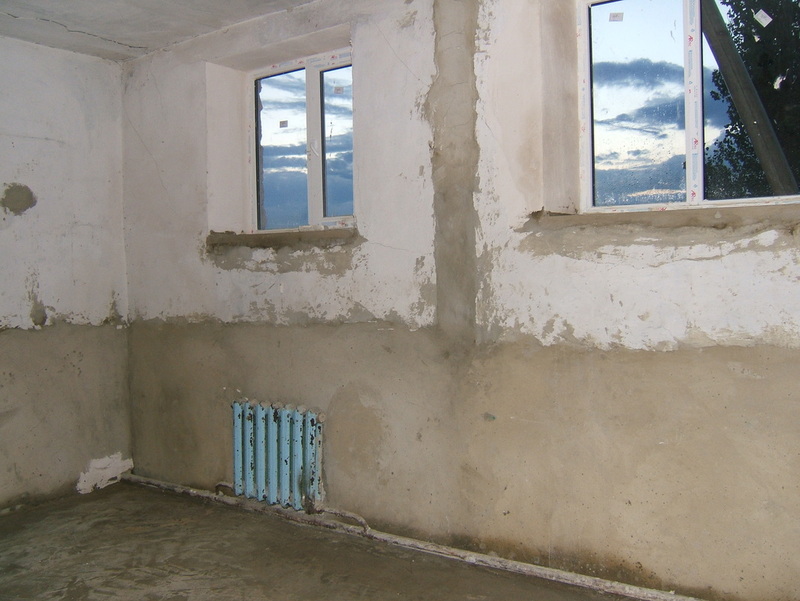 The school had completed a lot of preparation work before the team arrived, replacing windows, knocking down walls, bricking up a doorway and plastering walls, plus connecting mains water to one of the rooms. All preparation work was funded from the fundraising under taken by the volunteers. As can be seen from the photo above the outside 'hole in the ground' toilets are not welcoming, let alone hygienic, clean or nice to use, hence this project to provide bathrooms for the children. 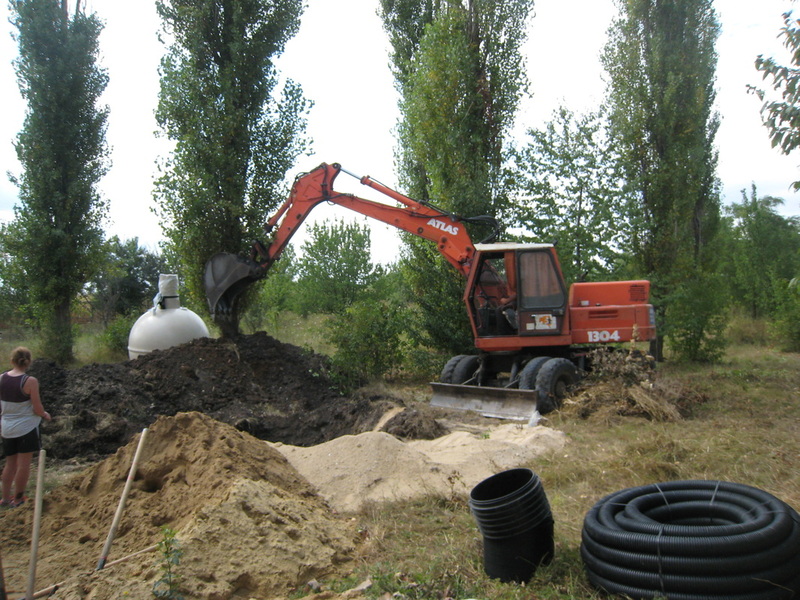 One of the first jobs was to drill through the walls for the waste pipes and get a local digger (see below with tank in background) to produce the huge hole required for the septic tank (thank you to Drain Depot for the tank and Hunter Plastics for all the internal and external pipework.). The picture on the left below shows one of the rooms before we started work (this would become a girls bathroom in just 8 days). Drilling holes for the waste pipes - a tough job! Walls were sanded, then painted, plumbing was completed to install the toilets and sinks. New wiring was run for new lighting in all rooms, along with connecting up and installing hand driers and water boilers providing hot and cold running water. As mentioned the lino was laid, then toilet partitions erected and everywhere given a good clean ready to hand the rooms over to the school. Whilst at the school the team also handed out aid to the village. A classroom in the school was taken and all the donations of clothing TEECH had received from yourselves were laid out for the residents of the village to come and chose suitable items. We were asked alot more for shoes this year, but we cannot take used shoes into Moldova, only new. We were also asked for a few wheelchairs and walking aids, therefore if you have these in good working condition please contact us. Some volunteers took time to go around the village and visit the elderly in their homes, those who could not make the journey to the school and provide them with aid also. Huge thanks always go to BT Supply Chain for the loan of two lorries for the trip, without which the aid and tools just would not reach their destination. TEECH sends thanks to United Motor Coaches of Twickenham for the hire of a coach (gratefully appreciated) and not forgetting Pauline who came along to drive not quite knowing what she was letting herself in for!. ​Thanks goes to the Director, Natalia and Oleg the Mayor of Ivancea who supported the project 100% and were wonderful hosts to the team. We would also like to thank Rebecca Lehman from the US Peace Corp for joining us and helping not only with the work but with translation too. We were lucky enough to be joined by students Vlad, Diana, Siergio and Iulia from prior TEECH projects who had travelled from their villages to come and help us transform another school. They wanted to help others too now they had received the benefits themselves in 2013 and 2015. 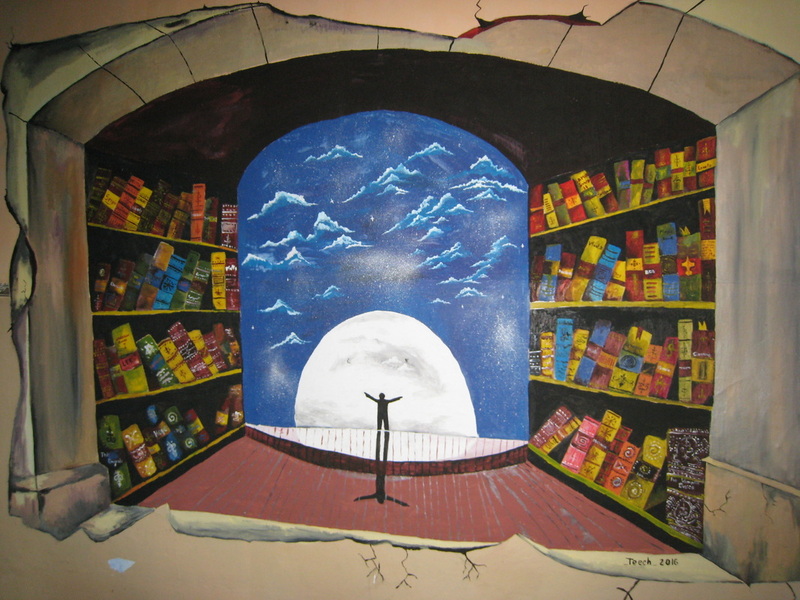 The painting below was created (free hand) by Siergio and Diana. And last but not least, thank you to all the volunteers who made the project a success. To see a list of all our supporters and donators please click here. 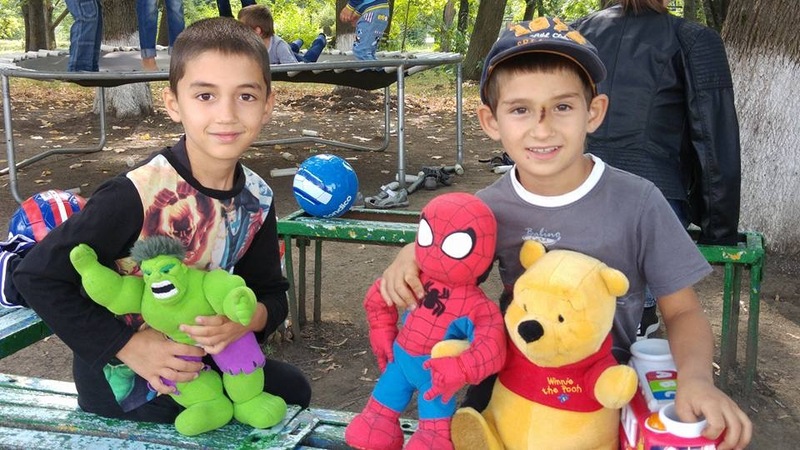 The next newsletter will tell you how you can get involved in completing shoebox presents ready for the TEECH Christmas Trip to Romania and Moldova. Start collecting empty boxes in preparation. ​We would like to get shoeboxes in during November this year if possible to provide us with more time to sort them, therefore starting getting prepared and a poster and instructions will be available in the coming weeks.